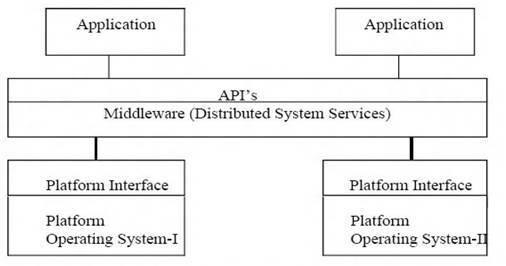 Middleware is a computer software that interconnects software components or applications. This software consists of a set of enabling services that allow multiple processes running on one or more machines to interact across a network. Middleware is especially integral to modern information technology based on XML, Web services, and service-oriented architecture. A common application of middleware is to allow programs written for access to a particular database to access other databases. Typically, middleware programs provide messaging services so that different applications can communicate. In order to fully understand middleware, one must first understand the concepts surrounding Application Programming Interfaces (APIs). The API, by definition, is a software program that is used to request and carry out lower-level services performed by the computer's operation system or by a telephone system's operating system. In a Windows environment, APIs also assist applications in managing windows, menus, icons, and other GUI elements. In short, an API is a "hook" into software. An API is a set of standard software interrupts, calls, and data formats that application programs use to initiate contact with network services, mainframe communications programs, telephone equipment or program-to-program communications. For example, applications use APIs to call services that transport data across a network. Standardization of APIs at various layers of a communications protocol stack provides a uniform way to write applications. This technology is a way to achieve the total cross-platform consistency that is a goal of open systems. As the distributed model of enterprise computing has become more common, the term middleware has acquired numerous meanings that would allow it to be just about any piece of software that sits between systems. Terms such as enterprise application integration (EAI) and extensible markup language (XML) often are mistakenly used to describe middleware. 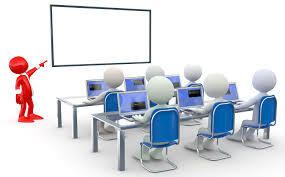 In the strict sense, middleware is transport software that is used to move information from one program to one or more other programs, shielding the developer from dependencies on communication protocols, operating systems, and hardware platforms. Middleware provides the "plumbing" necessary for applications to exchange data, regardless of the environment in which they are running. Transactions, data broadcasts, EAI packages, and XML data often ride on middleware in the enterprise. The concept of middleware dates back to the 1980s when companies wanted one package to move data between mainframes, databases, and user terminals. Modern middleware extends this concept to the widespread distribution of data in real time across a remarkable variety of servers, clients, and sites. Middleware as used in this sense tends to be message-oriented. That is, data is sent between systems in messages, which are similar to data packets on the network. These messages have headers that indicate the destination and payloads of varying sizes and formats that contain the actual data. Message- oriented middleware (or MOM) originally appeared in the form of message queues.